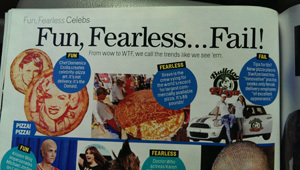 Everyone is talking about the World Record Pizza! 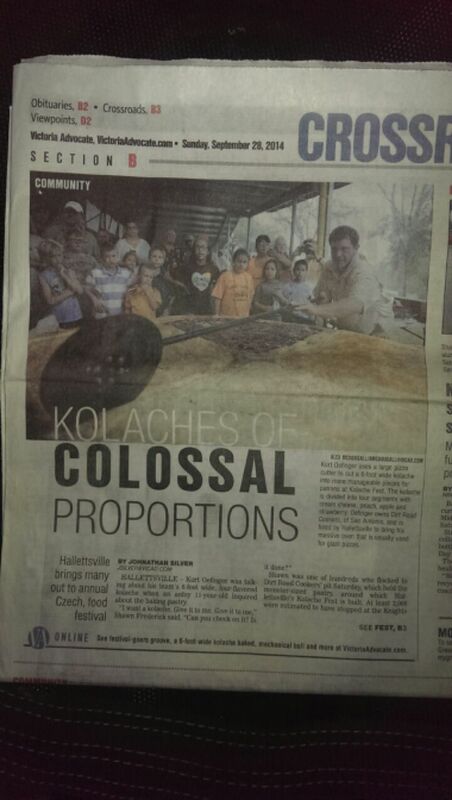 My team and I will attempt to finally get in the books as "largest commercially available pizza". wood-fired pizza. You can book a pizza party anytime online contact us or call Kurt. (830)444-9678. Subject: Largest Commercially Available Pizza / photos ? e-books; thank you in advance! you can also order the world record certificate for this record, contact us for details. 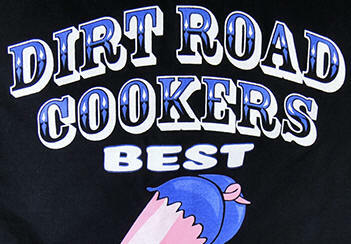 Dirt Road Cookers BBQ restaurant in Navarre, FL is different ownership than Dirt Road Cookers in Texas. If you are ever in the panhandle of Florida you have to check them out. Lee, DR and Brian Hannon say their BBQ is real good, but it's more like AWESOME! Look at their BBQ menu. 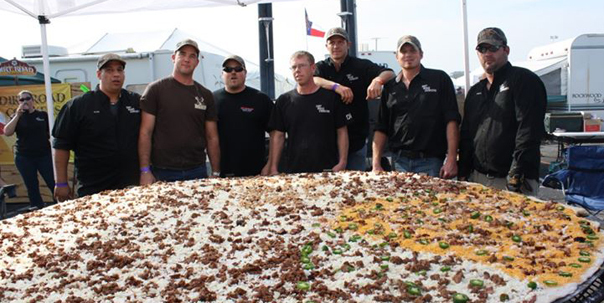 The Dirt Road Cookers, a team of eight caterers from San Antonio, Texas, broke the World Record for the largest pizza. The 46.64 square foot pie weighed about 100 pounds and took nearly two hours to cook. 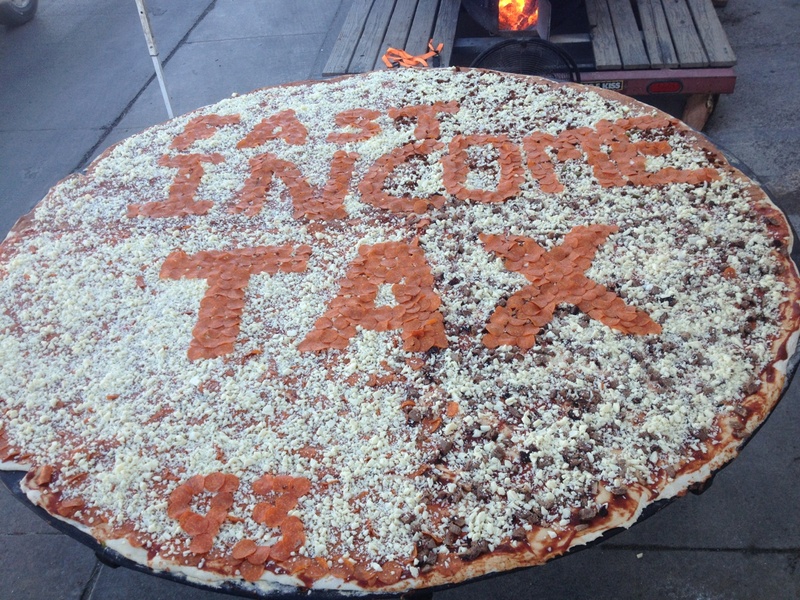 A team has created a SLICE of history after landing a spot in the record books for cooking the world's largest pizza. The Dirt Road Cookers, a group of eight caterers based in San Antonio, Texas baked the massive 46.64 square foot pie - twice the size of the current record holder. 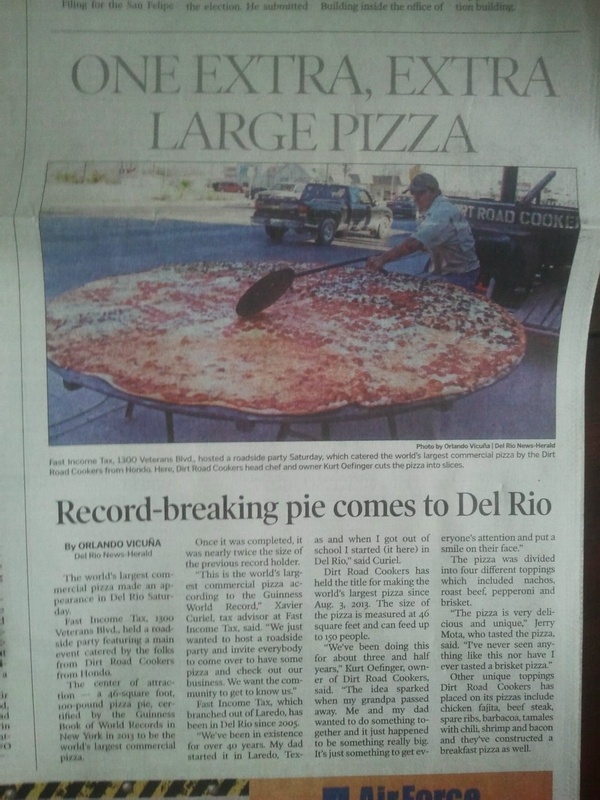 SAN ANTONIO -- A Texas company is going to try to set the world record for the largest commercially-available pizza. On Saturday, the Dirt Road Cookers will be baking a massive 46-square-foot pie at the Guinness World Records Museum across the street from the Alamo. Chef Kurt Oefinger, who leads to Hondo-based catering team, said they will be busting out their custom made oven to cook a total of four pizzas, all which will be available to spectators. The first pizza will be ready by noon; the second at 2 p.m.; the third at 5 p.m.; and the fourth at 7 p.m.
Oefinger and his team like to get creative with the toppings. Each pizza will be a little different from one another in toppings and design -- or even shape. Everything is bigger in Texas, and one chef is hoping to make that distinction with pizza. at the Guinness World Records Museum, 329 Alamo Plaza (across from the Alamo). 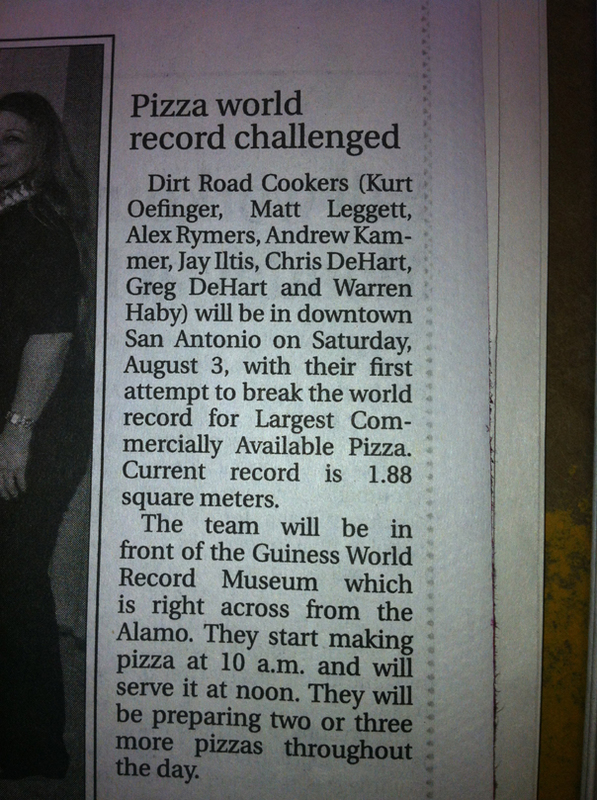 Hungry, hungry San Antonians will get a chance to watch as Chef Kurt Oefinger of Dirt Road Cookers, based in Hondo, tries for the record of largest commercially-available pizza in front of the Alamo on Saturday, August 3. Prep begins at 10 a.m. and the public will enjoy free slices at noon once the pizza is ready. A team of eight will use one one of Oefinger’s massive custom-made, wood-fired pizza oven to create the pizza using 40 pounds of dough, 10 pounds of sauce, 24 pounds of cheese and 8 pounds of pepperoni in hopes of producing an 8-foot-long pie. The event is hosted by Guinness World Records Museum in San Antonio who will have a rep on-hand to verify the record. San Antonio may soon have the Guinness Book of World Records title for the home of the World's Largest Pizza -- and you could help eat a few slices for free! 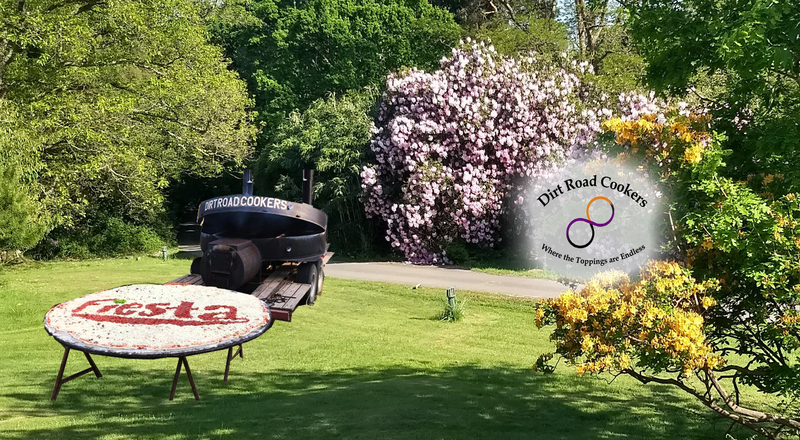 On Saturday, August 3, Dirt Road Cookers will attempt to beat the existing world record for making, baking, and serving the largest commercially-available pizza. The attempt will take place from 10am to noon at Guinness World Records Museum, which is downtown directly across from the Alamo. And once the pizza has been judged by Guinness officials, Dirt Road Cookers will slice it up and pass it away to anyone who came out to cheer them team on! There doesn't appear to be any limits on slices per attendee -- because let's face it, judging from the promotional photo, there will probably be more than enough to go around. for the “largest commercially available pizza”. The event takes place from 10AM-Noon, the public is invited to watch and spectators will get to try a slice once the attempt is complete. We wish the fellas good luck and much success in their attempt. Considering their great taste in names, we bet the pizza taste awful darn good too! You can read more about the attempt here. 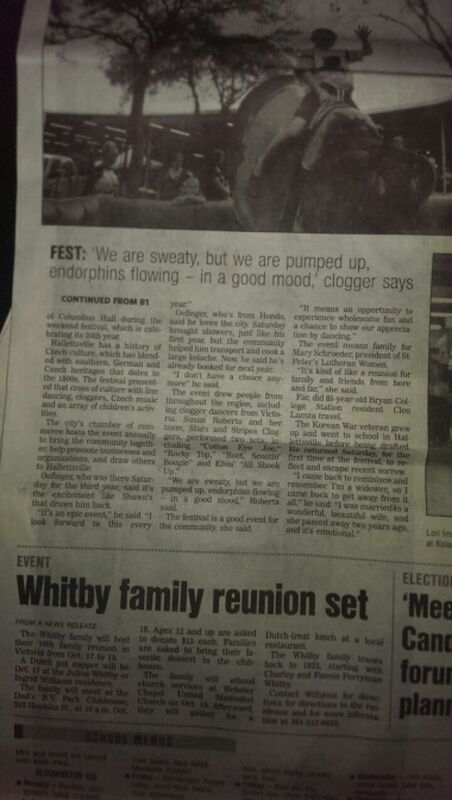 Dirt Road Cookers get front page coverage. 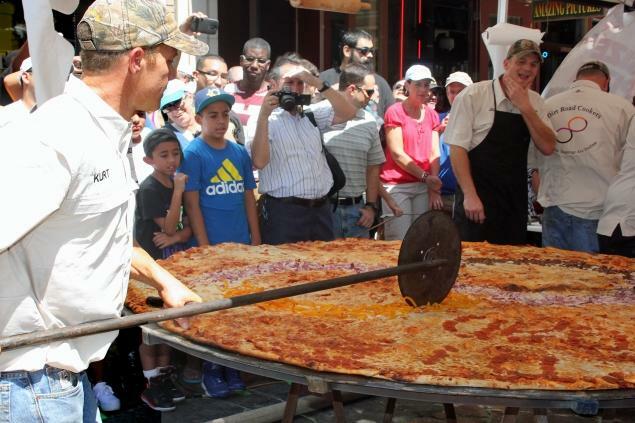 Photo: The World's largest commercially available pizza was 92 1/2 inches in diameter and weighed about 88 lbs. SAN ANTONIO, TX, USA -- The Dirt Road Cookers baked a massive pie in attempt to break the Guinness World Records' record of 5.4 feet across and 20.25 square feet; Kurt Oefinger, head Chef and owner of Dirt Road Cookers catering, has lead a team of eight people who baked a massive 46.2 square-foot pizza, setting the new world record for the Largest commercially available pizza, according to the World Record Academy: www.worldrecordacademy.com/. The Guinness World Records' record for the largest pizza commercially available is 1 m 37 cm (4 ft 6 in) by 1 m 37 cm (4 ft 6 in) and is sold at the Big Mama''s and Papa''s Pizzeria, Los angeles, California. Guinness World Records also recognized the world record for the largest collection of pizza-related items; it belongs to Brian Dwyer (USA) with 561 different items from all over the world, as of 31 July 2011, which he has been collecting since 2010. 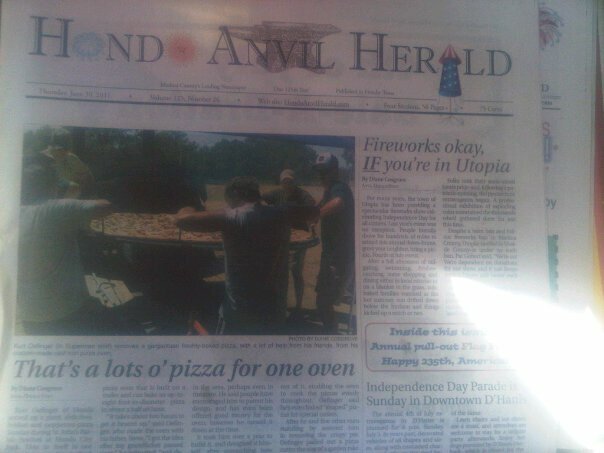 Chef Kurt Oefinger, who leads to Hondo-based catering team, said they would be busting out their custom made oven to cook a total of four pizzas, all which will be available to spectators.